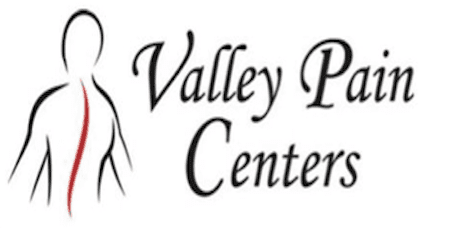 Valley Pain Centers serves patients throughout the North Phoenix and West Valley area. The doctors help patients overcome shoulder pain by using state-of-the-art techniques to treat the underlying cause of symptoms. Patients with shoulder pain should seek treatment as soon as possible to prevent symptoms from worsening. Even some lifestyle issues like poor posture or sleeping on a mattress or pillow that provide inadequate support can contribute to painful symptoms in the shoulder. Some types of shoulder pain can be diagnosed with a physical evaluation, including passive and active exercises to assess strength, flexibility, and range of motion. Diagnostic imaging can also be helpful. More complex shoulder issues can be evaluated using a minimally-invasive approach that uses a long, flexible device called an arthroscope to evaluate the interior of the joint. In our office, we use VisionScope® technology to provide clear, real-time images of the joint for better diagnosis and treatment. The entire arthroscopic procedure can be performed in the office and only takes about 10 minutes. In-office evaluations using VisionScope® enable treatments to start right away so healing and recovery can begin immediately. A bursa is a small, fluid-filled sac that helps promote optimal joint function. Shoulder bursitis occurs when a bursa located in the shoulder become irritated and inflamed, causing pain, stiffness, and loss of motion. In most cases, shoulder bursitis can be treated with injections of anti-inflammatory medications into the area surrounding the bursa. It depends on the cause of the pain. Some types of pain can be relieved over time with physical therapy, rest, and support. When pain interferes with range of motion and daily activities, it can be treated with injections designed to reduce inflammation and irritation in the shoulder joint, upper back and neck. Prior to treatment, the joint and the surrounding tissues will be carefully evaluated to ensure the most appropriate care is provided for optimal relief of symptoms and improved function and mobility.